VisionBedding's cheetah print wall art will transform your home into an art gallery sitting in the vast savannah. 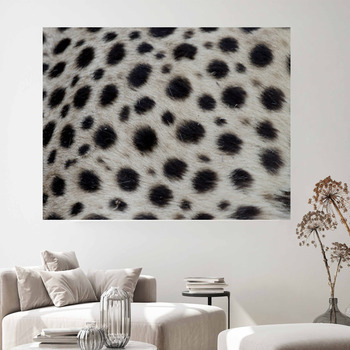 From hyper-realistic faux-fur photos that harmed nary a hair on a living cheetah' head to cheetah print abstracts, our cheetah print wall art will have your mind speeding along. 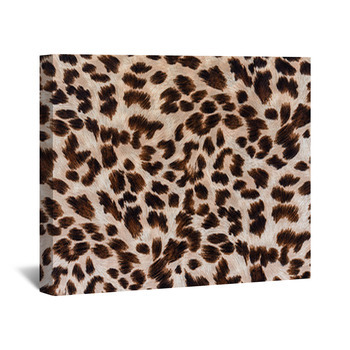 We know you've got a chic style that is ready to evolve with the times, so evolve the style in your house around the cheetah print theme by hanging a cheetah print wall art and make sure to lay a floor rug that matches the theme. 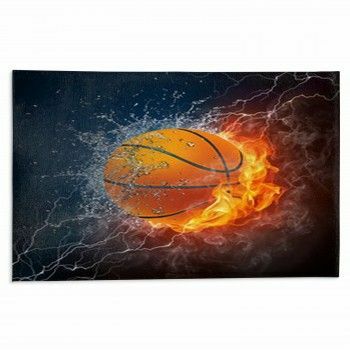 Start conversations among your friends, just make sure everybody has a hold of something when things get as fast as the cheetah itself. 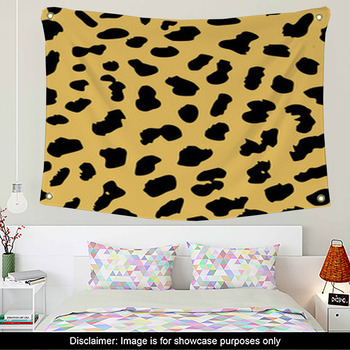 If our designs aren't purr-fect for you, then why not try and create your own? 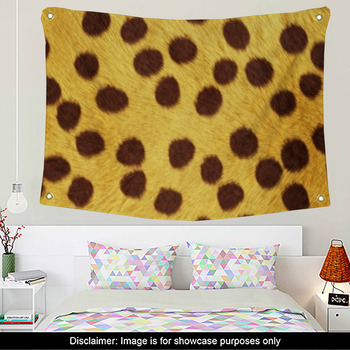 With VisionBedding's full personalization and customization options, you can make cheetah print wall art as unique as any given cheetah's spot pattern. 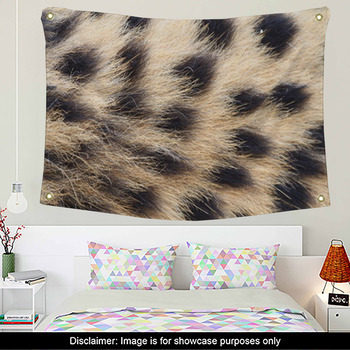 Go with realistic fur or stylized fur both to make a tailored and eclectic look. 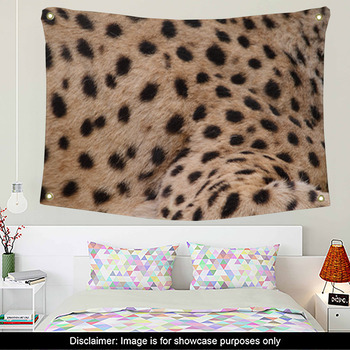 Change hue and luminance for a black and white moody cheetah style, or bright rainbow for that cheetah print whimsy. 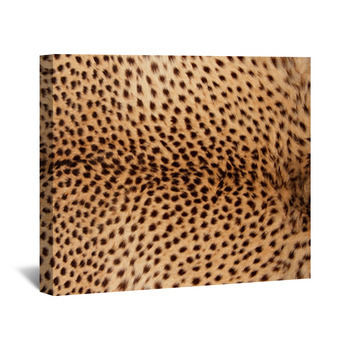 Add our cheetah print alongside other wildlife patterns, so it becomes part of exotic abstracts formed by the realities of nature's designs. 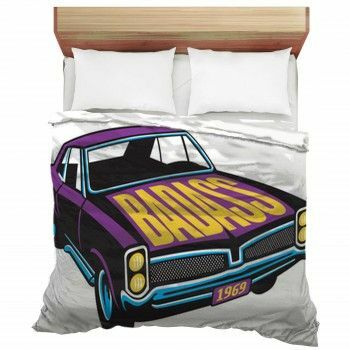 Infused with wild colors, it turns into something out of the Sixties or headed for a rave. 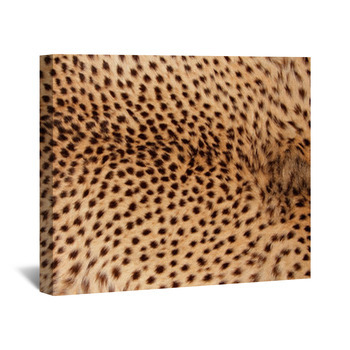 Catch the sensation you want with our cheetah print wall art.